Huawei is betting big on large phones for 2016. It has unveiled the Mate 8 flagship handset, an updated version of last year’s Mate 7. Like its predecessor, the 6-inch device supports dual LTE SIMs and features a 1080p display and a large 4,000mAh battery. It’s powered by a Kirin 950 octa-core processor paired with a Mali T880MP4 GPU. Huawei is also promising up to 30 percent longer battery life compared to the Mate 7, thanks to the efficient new processor. A 16-megapixel camera with a Sony sensor and an f/2.0 aperture graces the back, along with a fingerprint reader. On the front is an 8-megapixel snapper. The body is crafted from aircraft-grade aluminium and has slim bezels with 2.5D edges for a better grip. It’s available in four metallic finishes as shown above. 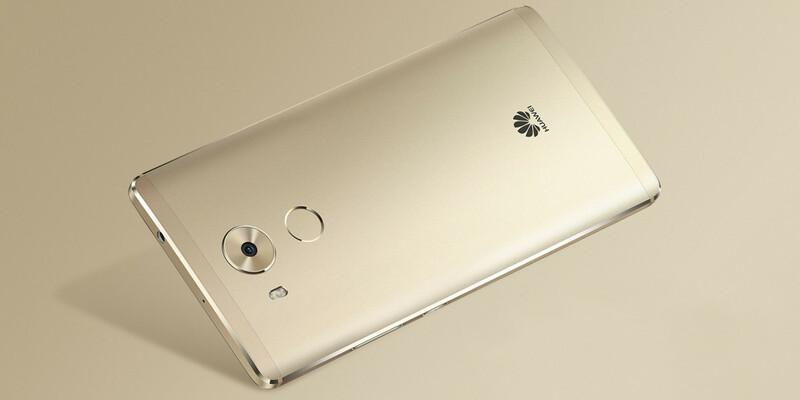 The device runs Android Marshmallow with Huawei’s EmotionUI 4.0 software layer on top. You can opt for 3GB RAM with 32GB of storage at ¥2999 ($469), 4GB RAM with 64GB at ¥3699 ($579) or 4GB RAM with 128GB at ¥4399 ($688). If you don’t want to stretch your budget too thin for extra storage, you can use a microSD card in one of the SIM slots. The Mate 8 will face some tough competition from large premium phones when it launches in early 2016 in China — Google’s $500 Nexus 6P, the $639 Samsung Galaxy Note 5, and Blackberry’s $700 Priv. It has a lot going for it on paper, but some folks may want a higher resolution display given the large screen size. Plus, AnandTech notes that the Kirin 950 processor doesn’t support 4K video recording, so camera enthusiasts may want to skip this in 2016. The device will be available first in China and arrive in Western markets after being introduced at the CES expo in January. Read next: BBC Three will be switched off in February, but will the yoof follow it online?